Instagram influencer Lil Miquela was exposed earlier this year as a fake CGI character, but it looks like she’s started a major money-making trend. 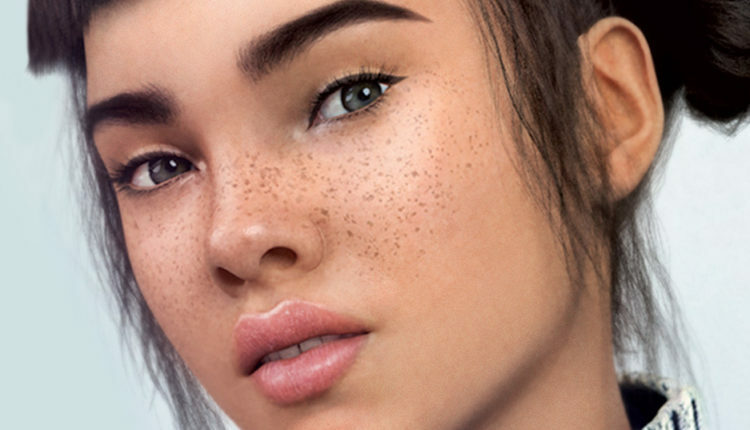 To know Lil Miquela is to love her CGI renderings. The verified account, created back in 2016, has over 1.5 million followers and went 2 years virtually without detection. That is until the company behind the CGI experiment, BRUD, was revealed and the term “robot” was added to her bio. The robot has collaborated with major brands like Prada, and was even featured in an editorial in Vogue’s September issue. After the fake influencer was exposed, it would seem like her followers would move on. But that’s not what happened here. In fact, it made Lil Miqueala even more popular because people didn’t care that she wasn’t real. This was a lightbulb moment for many companies in the fashion industry and several copycats began springing up. Shudu is another virtual creation by digital artist and photographer Cameron James-Wilson. She caught mainstream media attention when Fenty Beauty reposted an image of her wearing Rihanna’s SAW-C tangerine lip colour. Shudu’s realistic look made it hard to spot the virtually created model and it wasn’t until Wilson started hashtagging #3Dart in the captions that people caught on. But while these renderings seemed more like extravagant performance art pieces, EA sports took the idea to another level. Alex Hunter is a game series character created by EA Sports as a relatable influencer. In 2018 Coca Cola Zero Sugar signed him up as a virtual ambassador. Alex’s creators have really created a virtual life and story for him. He has parents, relationships and is constantly on a quest to climb higher in the soccer world. He was also featured in the Adidas “First Never Follows” campaign in EA FIFA ’17. These models have sparked a new industry trend. They’re called Brandfluencatars, aka avatar influencers for brands. And they are low-risk, easily monetizable characters that may become the next generation of influencers. It’s no secret that influencer marketing has been a headache for many companies. Take for example Pepsi’s Infamous Kendall Jenner commercial. Which was eventually pulled due to heavy backlash from fans and viewers. Finding the right influencer for a company’s niche can be tricky. Even Celebrity endorsement marketing has long been fraught with drama especially when a particular celebrity gets in some hot water in the press. Computer generated influencers are a lot less likely to get themselves into controversial situations that could damage a brand’s reputation. In fact, some are speculating that influencers themselves might begin making their own avatars, which would take brand deals for them. Though, Young admits the legal implications around this idea are shifty. There’s currently a lot of debate around virtual renderings of public figures including a lot of debate over the ethical and legal implications of holograms. Prince once called the idea of celebrity holograms “demonic,” which led Justin Timberlake to stray away from using a Prince hologram during his Super Bowl performance. Though influencers top focus is to appear cool and interesting, so that the brands they wear also seem cool and interesting. And they tend to do whatever they have to do to get there. What do you think about fake influencers? Let us know in the comments or on Twitter at @WhatTrending.